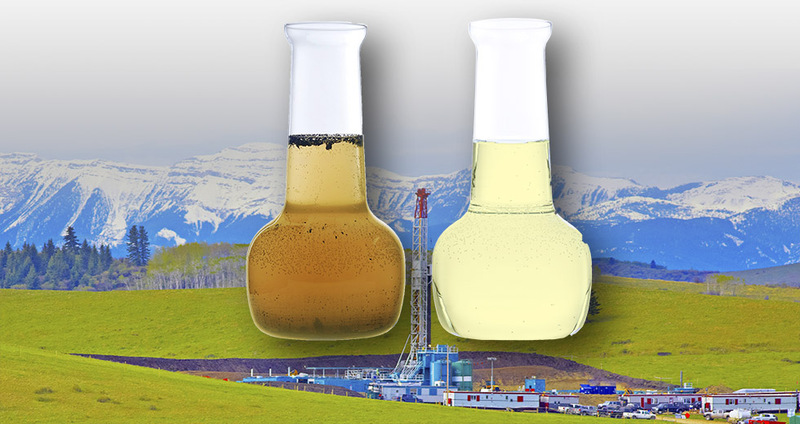 Lubrication and Hydraulic systems in drilling rigs are essential in the overall safety and efficiency of operations. Pentair was approached by a drilling rig company, requiring a new, customized solution. This company had been experiencing diminished uptime due to the top drive hydraulic power unit (HPU) and ground level HPU failing. As a 24-hour operation, minimal downtime can create more than a $200,000 per day impact on their revenue. Moisture in the hydraulic fluids can create failures in the equipment that leads to downtime and safety and envrionmental concerns. A small Ultidri unit from Pentair was provided for the test. This unit removes particulate with a 3 micron Beta 1000 barrier filter and water through a proprietary membrane mass transfer system. The standard unit was modified with a fully enclosed cabinet, automatic shutoff, and alarm circuit for the drill rig application. Additionally, Stealth ABS (Active Breather System) was provided for the 3 system reservoirs where continuous filtration proved to be more challenging. These systems provide a dry air purge through the headspace to eliminate atmospheric humidity and dust contamination. After beginning field testing of the UltiDri System, the drilling company now is requesting more units to outfit their entire Texas fleet, while they have experience ZERO hydraulic system failures since the ultidri was installed. Maintenance has not yet been required on on the Ultidri System, even through multiple rig moves. The system only required 120 VAC, 15 AMP power supply, with a 90 psi compressed air source. In addition, the footprint can go down to as small as 24w x 48h x 12d and a weight of 150 lbs. 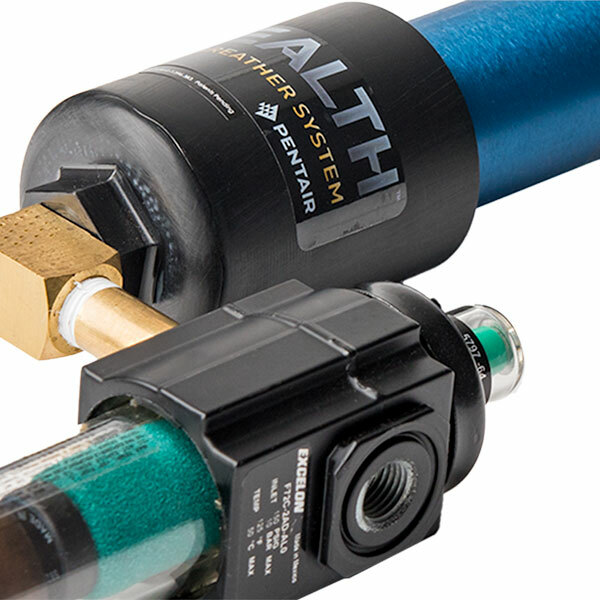 Stealth ABS (Active Breather System) dehydrates the oil reservoir headspace, eliminating the need to continually replace conventional desiccant breathers, and delivering effortless maintenance.